Convert OST to PST, Live Exchange, Office 365, MSG, EML etc. 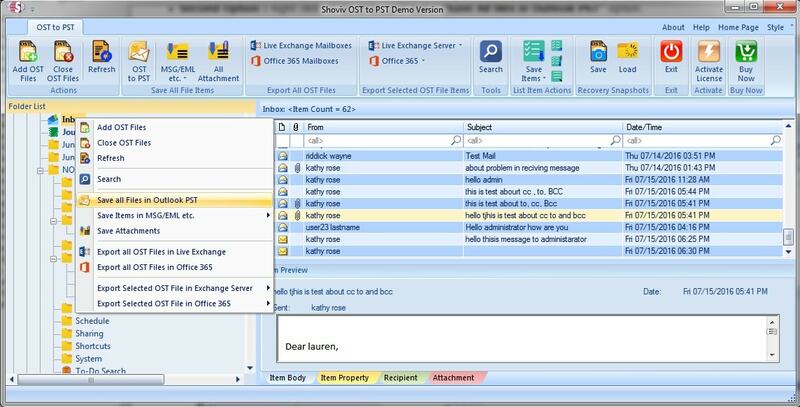 Convert EDB to PST, Live Exchange, Office 365, MSG, EML etc. Migrate from Exchange to exchange & Office 365. 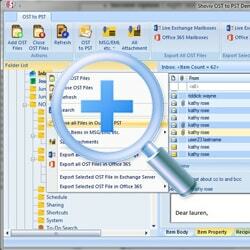 Export Lotus Notes NSF files to Office 365 in one go. Export Lotus Notes NSF to Live Exchange Server in one go. Recover & migrate EDB/OST/PST and Live Exchnage/Office 365 Mailboxes & vice-versa. 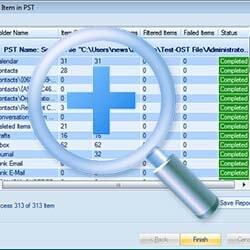 Recovery of OST files is not a difficult concern these days, if you work with appropriate software application. Exchange OST Recovery is a tool that has integration of technically enhanced algorithms to eliminate the inaccessibility issues of Exchange OST files. Once the OST files will be recovered, the data can be easily viewed. *Free Download allows to convert & save 25 items/folder from Exchange OST Recovery. It is a great tool which helped me to fulfill my requirement. Even their customer support team was very much helpful, when I had an issue with the first time use. Highly recommend this to anyone who has similar requirements. Great software. Easy to use and did the job I needed. The customer support team was extremely helpful and patient in helping me figure out anything I didnt understand. Id highly recommend this software to anyone. Great job Shoviv. It successfully converted my OST to PST in hassle-free manner. Well, my decision was not wrong. I took the steps for Shoviv OST to PST converter to fix OST file corruption & it works well to manage such jobs. Easy to understand GUI makes the tool more approachable for non-technicals. 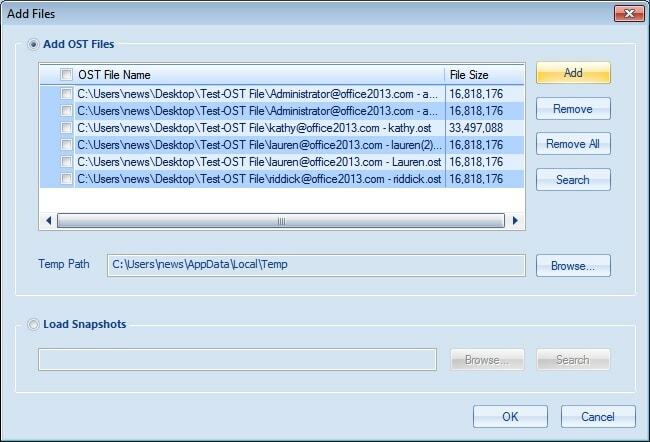 This amazing tool for OST recovery has facility to add OST files in bulk at one go. Users do not need to get worried about the size of OST files too as this tool has ability to work for recovery of oversized OST files too. 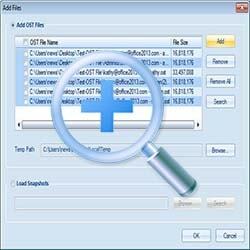 If you want to recover deleted OST files then, it will not be any tough concern. The advanced algorithm of OST to PST Recovery tool will recover every bit of data from emails, attachments, contacts, notes etc from OST(s). There is not any constraint to work for oversized OST files. This software is feasible to work for corrupt and damaged OST files of any size without losing any email or related data item while the process gets finished. The scanning process of OST files for recovering damaged and deleted data helps you to take an idea about how smoothly the process runs. And it also makes you sure that the process is executing appropriately. 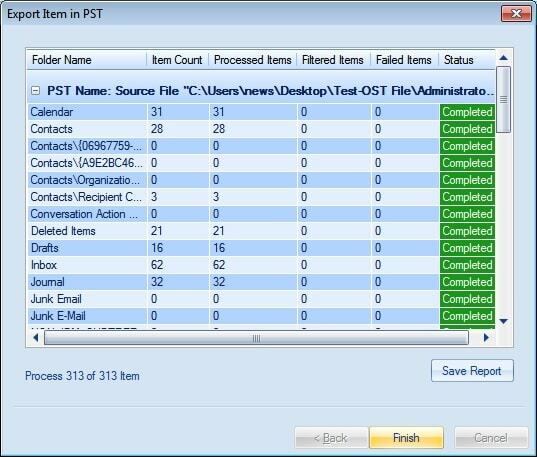 This tool has facility to save the recovered OST emails and attachments along with other data into file formats like EML, MSG, VCARD, VCAL, Unicode MSG, HTML, CAL etc to make them accessible in different applications. 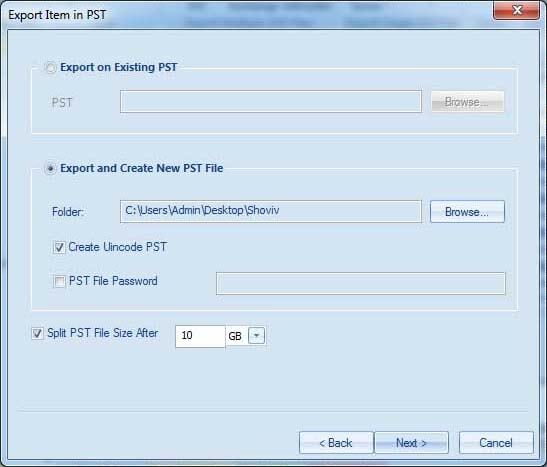 Once the process of scanning OST files has been done, you will be able to able to export OST into PST which can be password protected. If new PST files are oversized then, split PST feature can be used. If you are an Exchange user then, you can get benefited from this feature. It allows you to export data from recovered OST files into Live Exchange server mailboxes, public folders, and archive mailboxes. If you are the one who look for importing OST to Office 365 mailboxes then, you are at perfect place. This tool will also cater the ease to shift OST data into Office 365 mailboxes without letting you face annoyance. If you are worried that how to find particular email from OST file then, get facility from search options as "Subject", "From", "CC", "BCC", "To". Message class, message date and attachment type are also helpful to search OST emails. You can download free trial version in order to evaluate the features of this software. 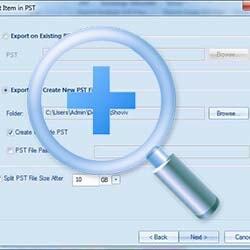 Free trial version allows to select first 25 items per folder and perform the task with no time limitations. How secure is this tool for recovery of OST files? This Recovery tool is integrated with technical algorithms to recover OST files and assure to not lose a single bit of data. Hence, there is need to worry about the security of OST File and attribute. Does this tool update easily and flawlessly if the need comes? Interesting fact that the updates for application will be available for you all the time if you have registered yourself with us. You will be notified via email for every crucial update of the Exchange OST Recovery tool. Is there any option for making a particular search of email item from OST files? Of course, the email search within OST file is easy for the fields like "subject", "to", "cc", "bcc" etc. It takes time of a tweak to fill such credentials. Can I save OST data into live Exchange Server with ultimate security? 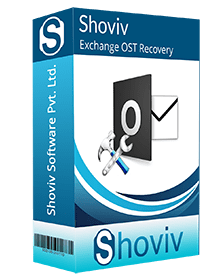 Surely, this ultimate security feature of OST to PST recovery tool doesn’t fend you to save the OST data which is recovered into live mailboxes of Exchange Server. It also facilitates to choose for saving OST data into Public mailboxes and archive mailboxes in Exchange Server. Copyright © 2019 Shoviv Software Pvt. Ltd. All Rights Reserved.